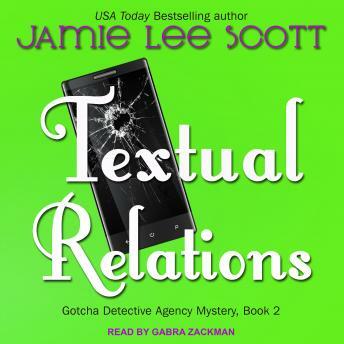 Mimi Capurro, owner of Gotcha Detective Agency, hasn't seen her old college flame since they teamed up to find a killer several months earlier. Now, after breaking and entering into an alleged predator's home, Mimi and Charles find a murder victim on the floor in his bedroom. When homicide detective Nick Christianson and his new partner, Piper Mason, arrive on the scene, this is not the way Mimi expected to see Nick again. Even though it's his job, Nick is loath to find the killer. I mean, who wants a man who uses social media to prey on young girls to get justice, right? That is, until a teenage girl with ties to the victim disappears. Now Mimi, Nick, and Charles race against the clock to find the killer and hopefully find the girl in the process.